OPM is a Southern California formed in 1999 based ska punk band. OPM has a distinctive sound, combining hip hop, rock music, and pop with laid-back reggae. The name OPM, according to the band's frontman John E. Necro, is an abbreviation of the phrase "Open People's Minds". This was stated during an interview with MarijuanaRadio.com. 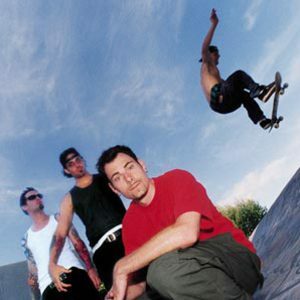 Their debut single "Heaven Is A Halfpipe" charted world wide. Both their debut single and album, Menace To Sobriety were released on Atlantic Records in September 2000. In 2002, they signed to Suburban Noize Records who released three album and two EPs. The name OPM, according to the band's frontman John E. Necro, is an abbreviation of the phrase "Open People's Minds". This was stated during an interview with MarijuanaRadio.com. Their debut single "Heaven Is A Halfpipe" charted world wide. Both their debut single and album, Menace To Sobriety were released on Atlantic Records in September 2000. In 2002, they signed to Suburban Noize Records who released three album and two EPs. Their second album, Forthemasses, was released in June 2004. The album was produced by OPM and Steve Gallagher. Their third album was California Poppy, released in July 2006. OPM released their fourth album, Golden State Of Mind in September 2008.